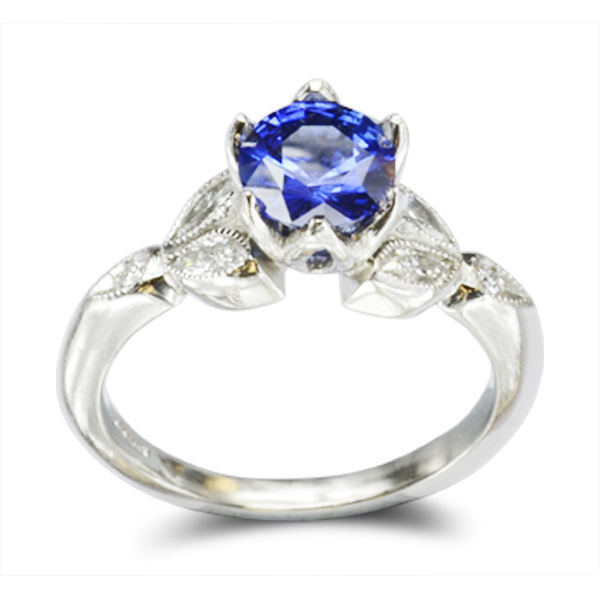 A 1ct Ceylon Sapphire vintage engagement ring. 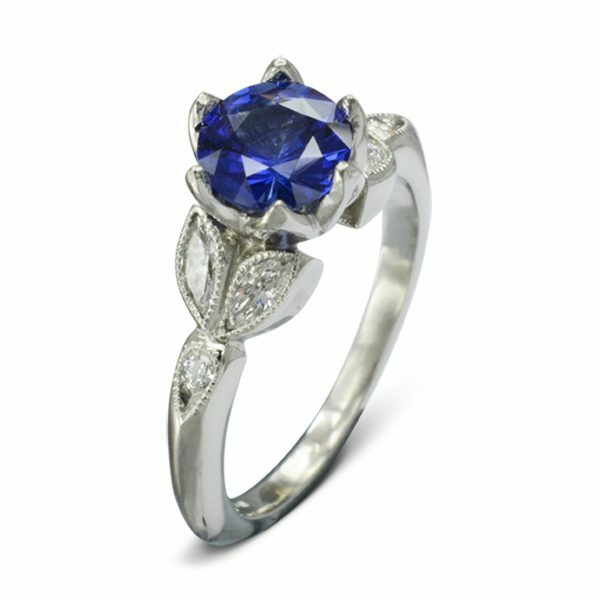 Handmade in platinum this unusual engagement ring features a tulip flower setting with diamonds set in an organic leaf design. 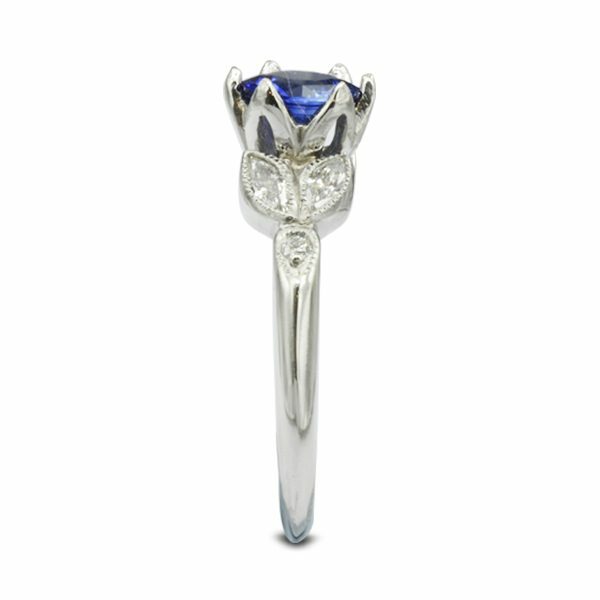 The diamond settings have a beaded edge to give it that hippy chic vintage delicate feel.